Over 60 ingredients??!! You have got to be kidding me? This is just disgusting…. Some of the side affects from these additives and preservatives include developmental delay, headaches, migraines, irritability, itchy skin, rashes, restlessness, hyperactivity and so on. 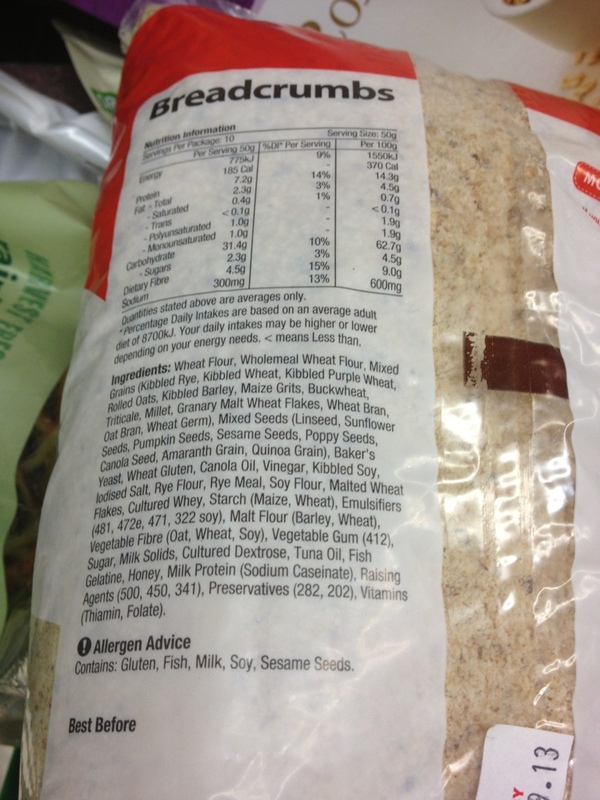 Please make sure you read the ingredients before you buy something and don’t assume it will be ok seeing as it is a simple food product like breadcrumbs. Tuna oil, what the?